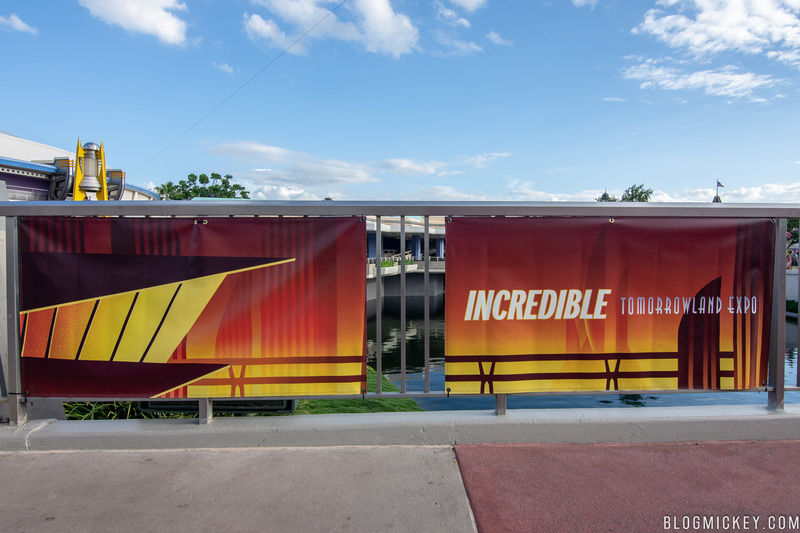 As part of the Incredible Summer promotion kicking off this weekend at Walt Disney World, The Incredibles are taking over Tomorrowland at Magic Kingdom. 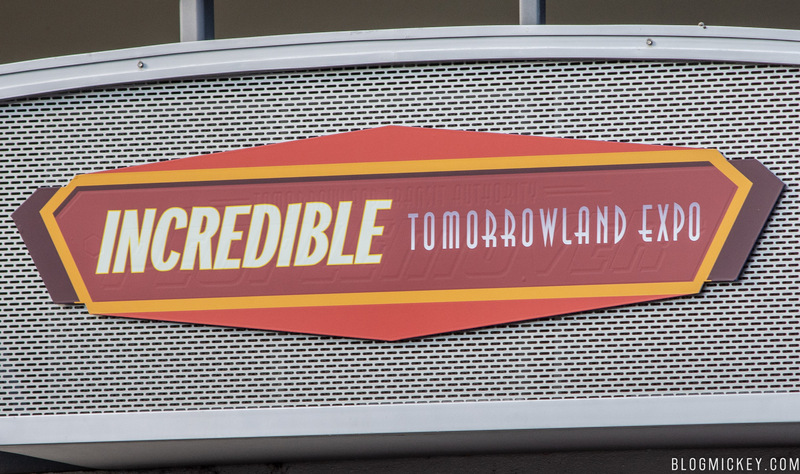 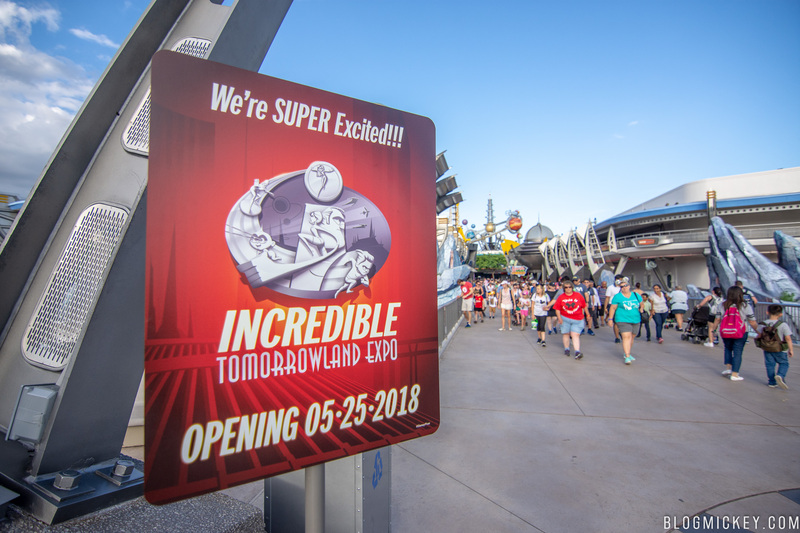 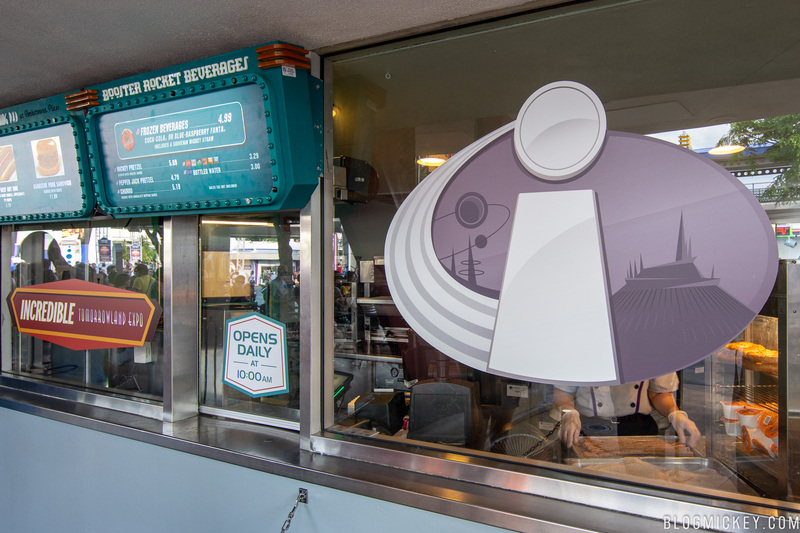 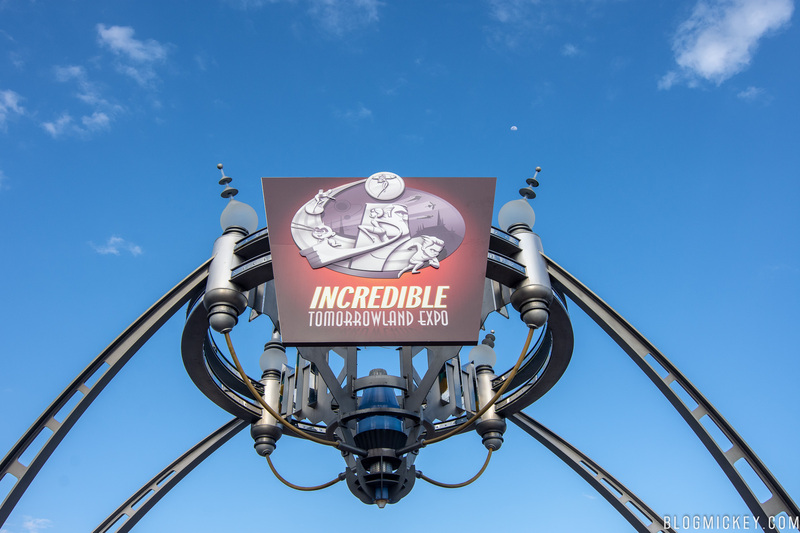 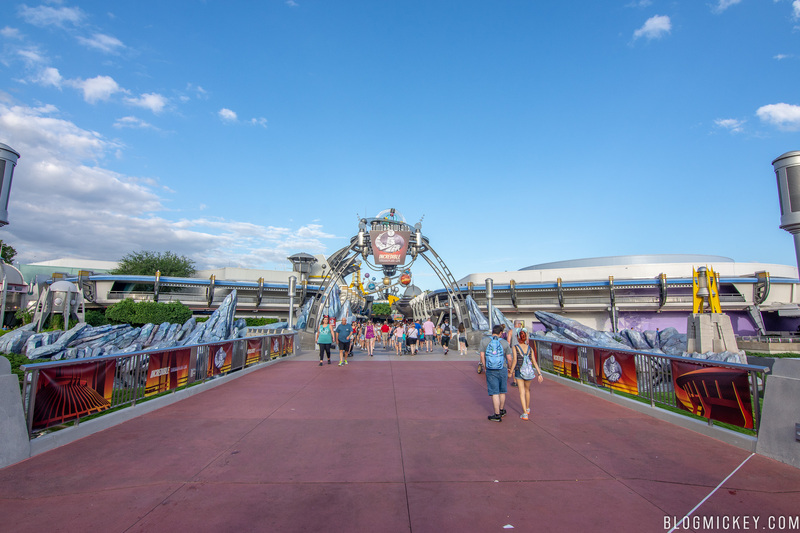 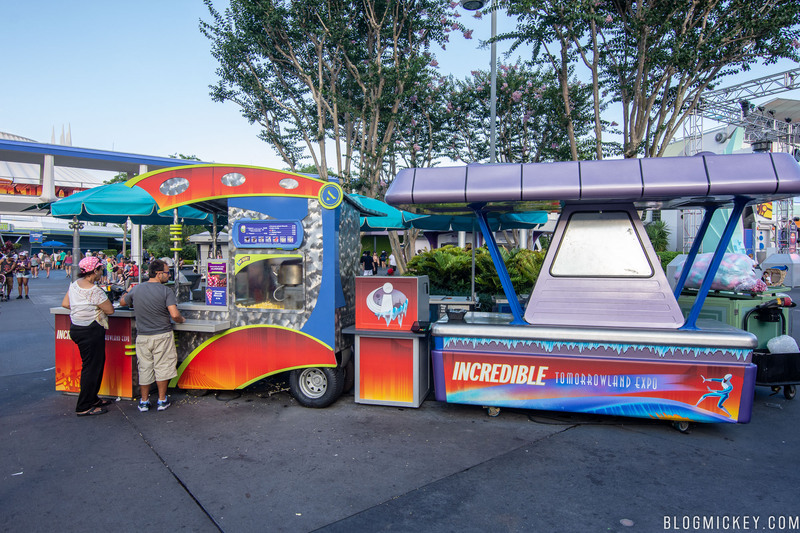 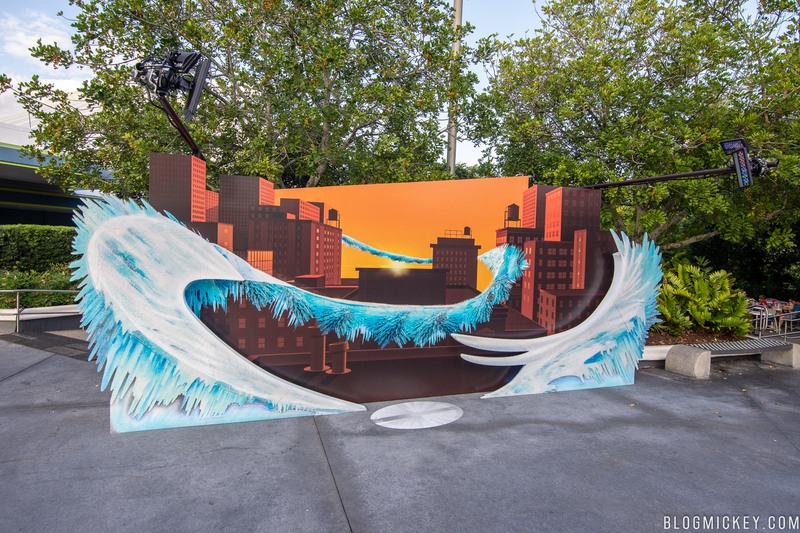 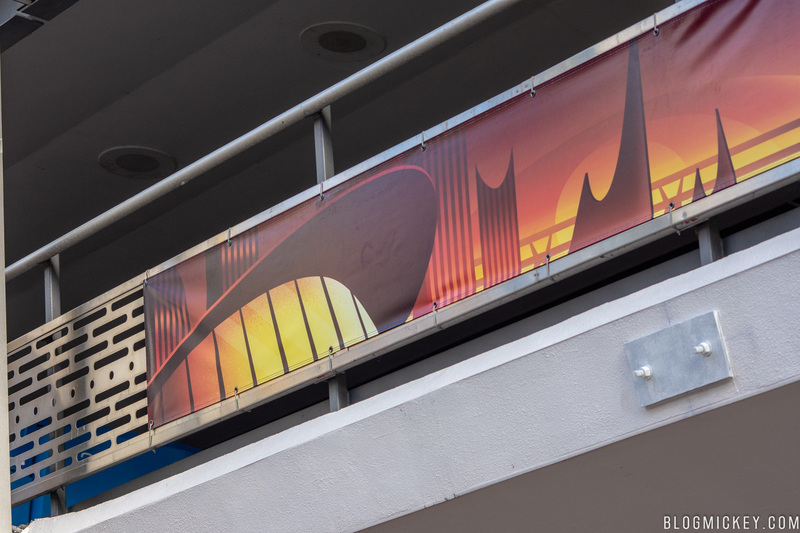 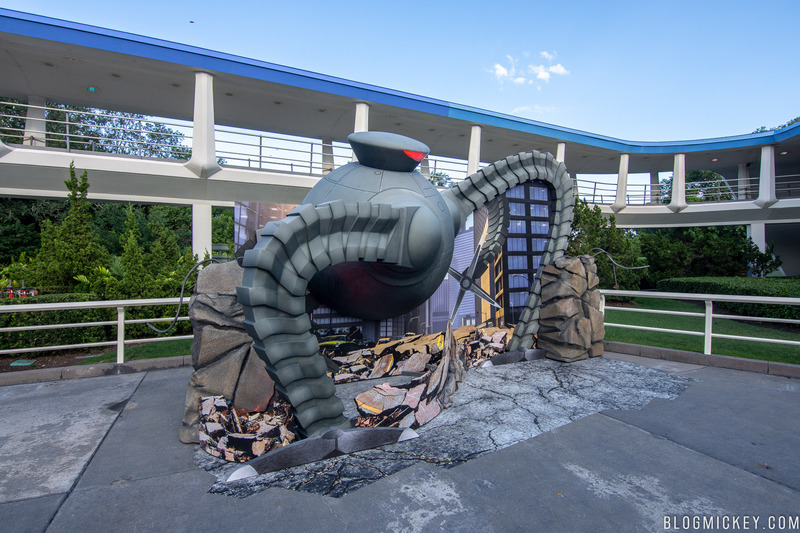 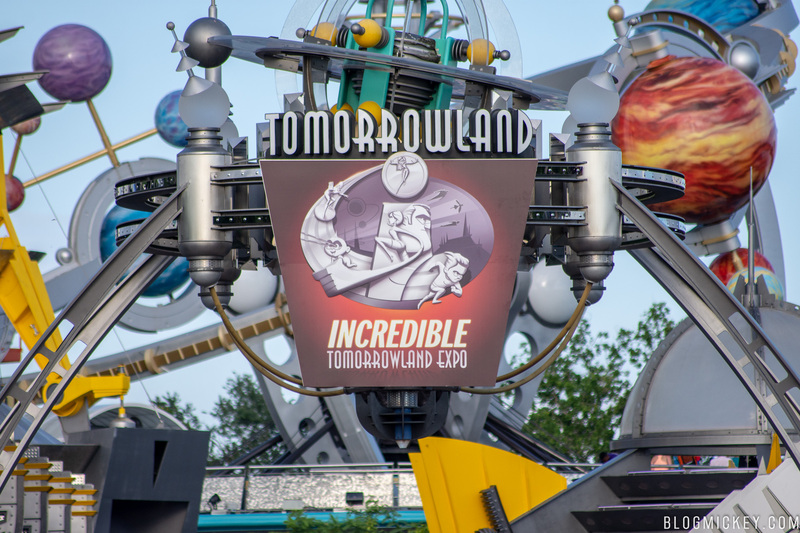 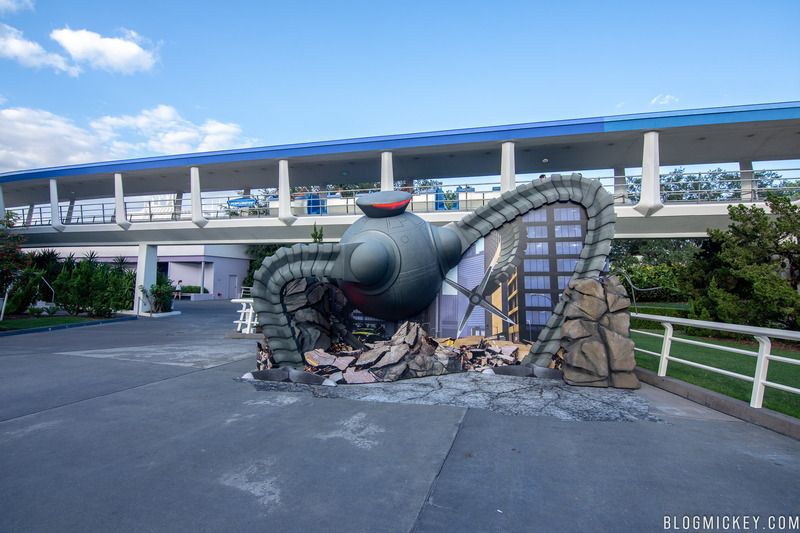 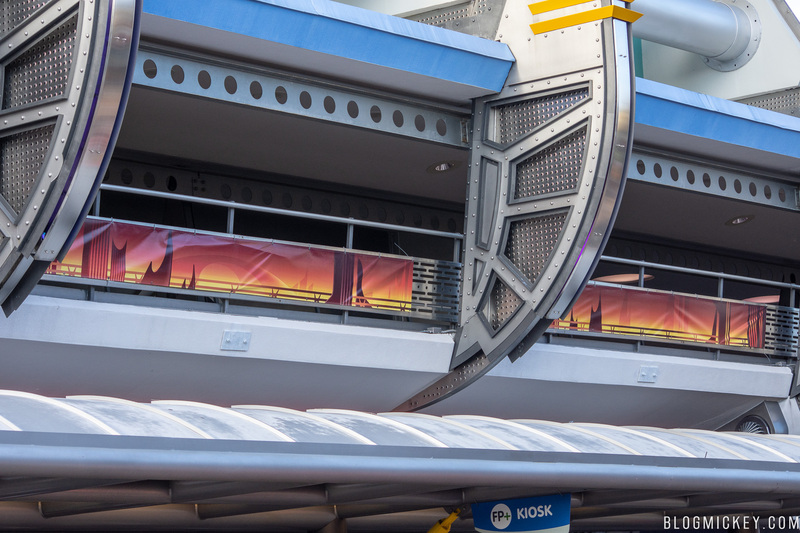 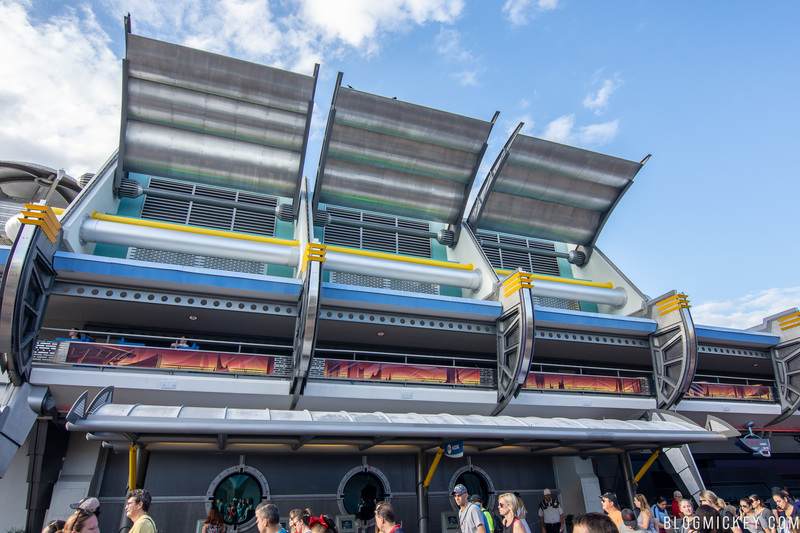 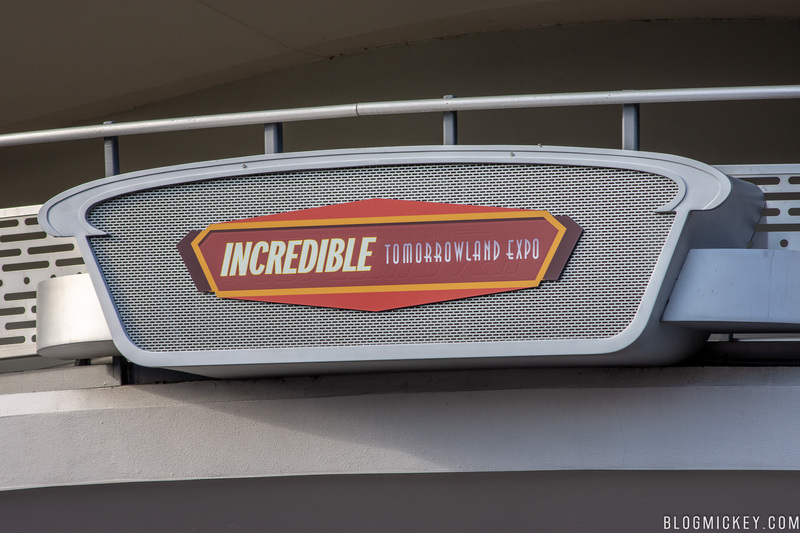 Starting this Friday, May 25th, guests visiting Tomorrowland at Magic Kingdom will be able to experience the Incredible Tomorrowland Expo, featuring Incredibles-themed decor, photo ops, and more. 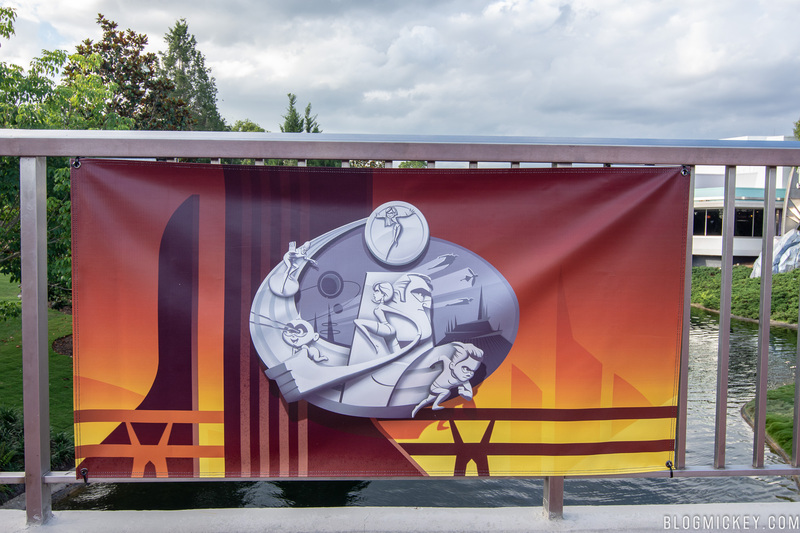 The festivities will run through September 3rd. 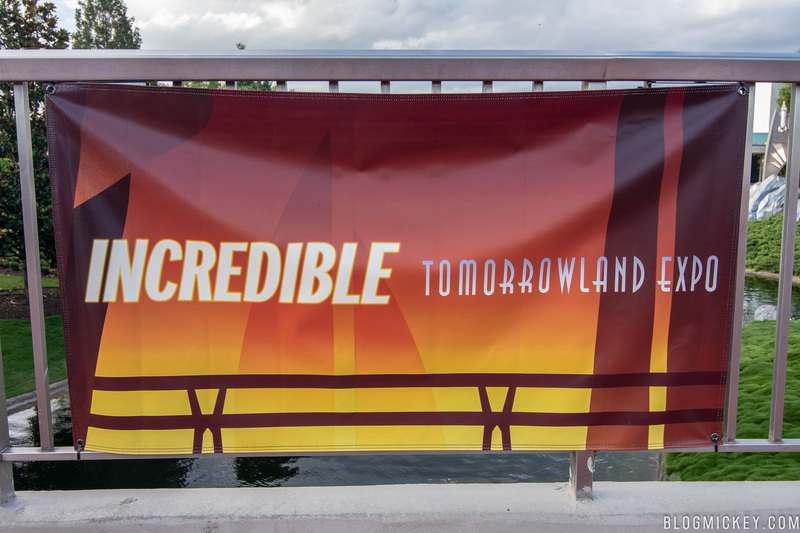 Incredible Tomorrowland Expo signage has been installed on the Tomorrowland entrance arches, announcing the presence of the expo. 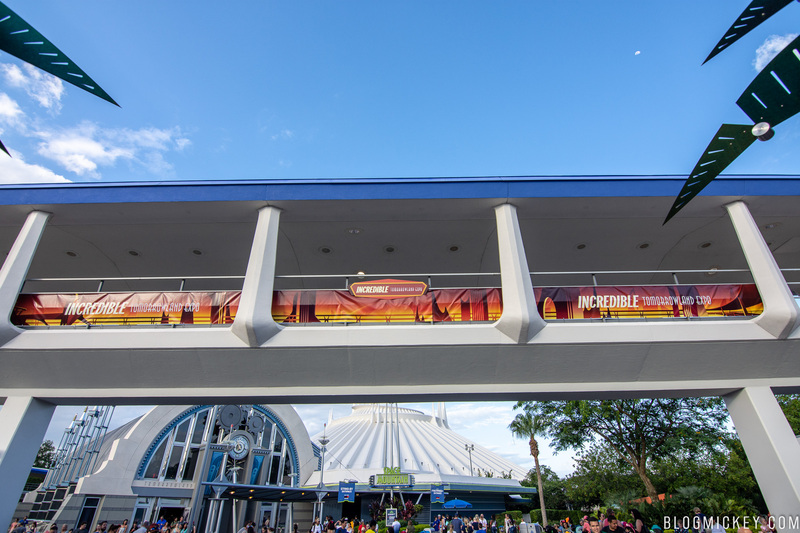 Banners have been hung on the railings leading into the land. 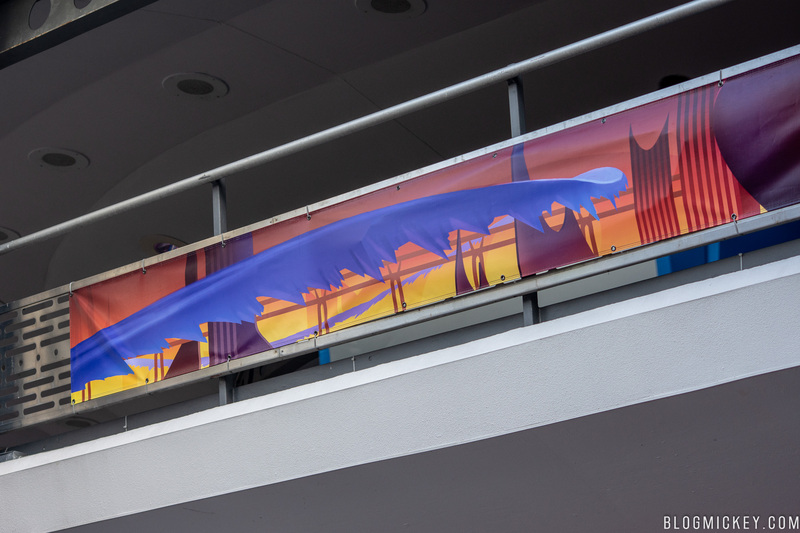 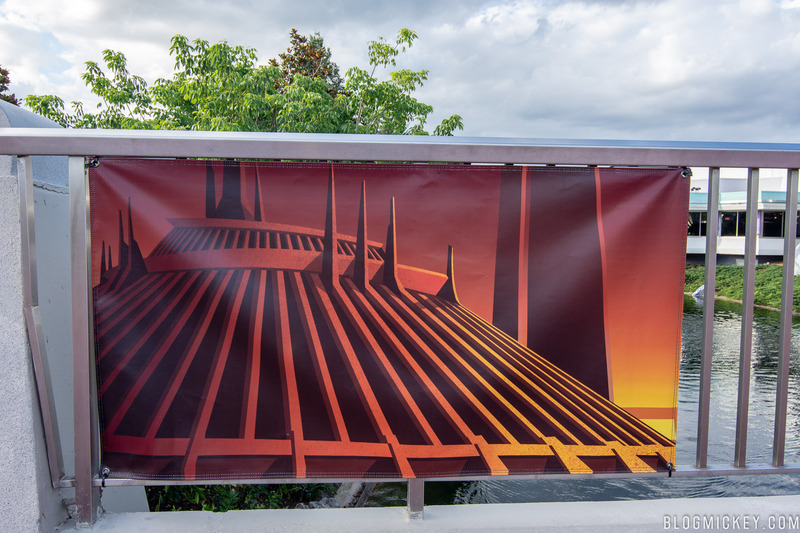 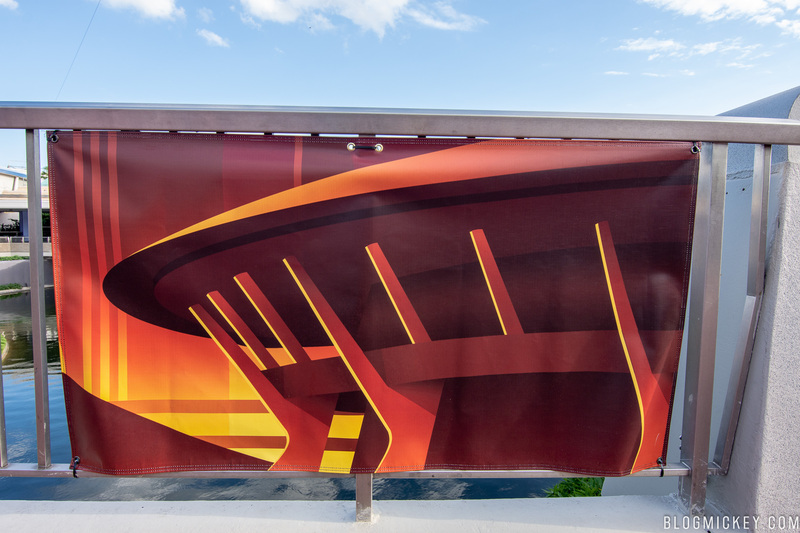 Once inside the land, the majority of the theming installed so far are banners that run along the PeopleMover railings. 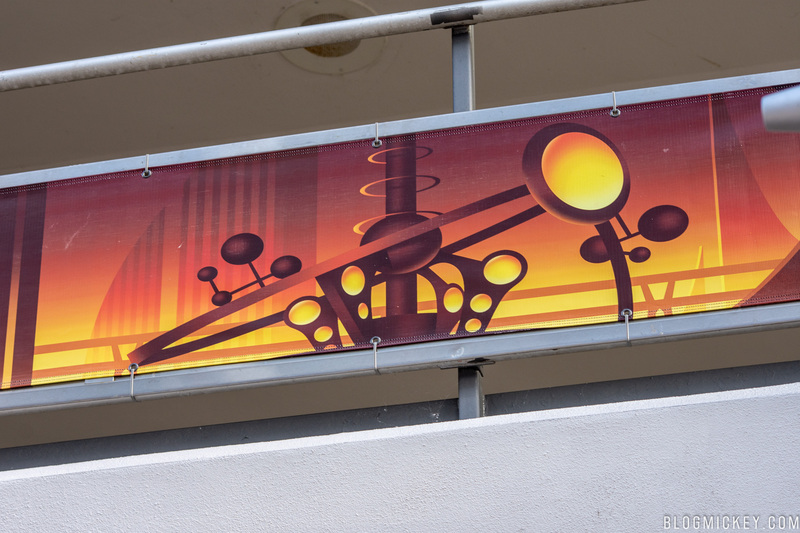 A sticker, placed over the existing PeopleMover sign. 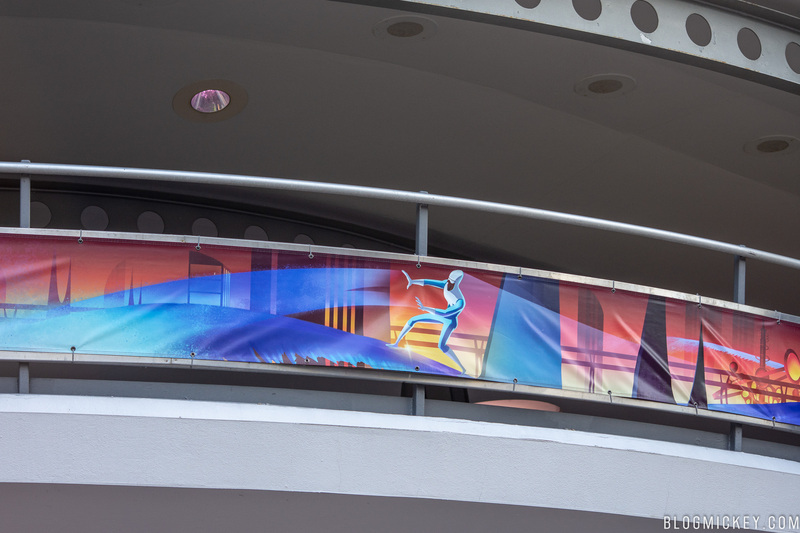 Some theming on the Lunching Pad windows. 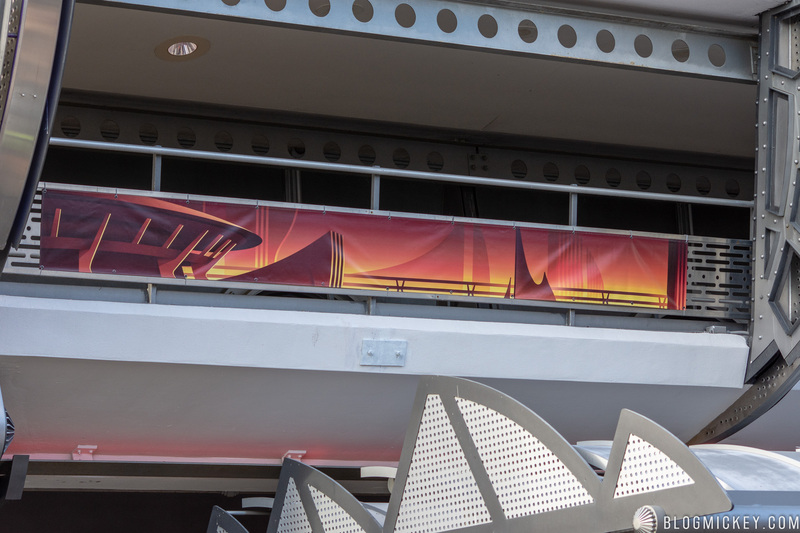 The Rocket Tower Plaza Stage has also been lightly themed. 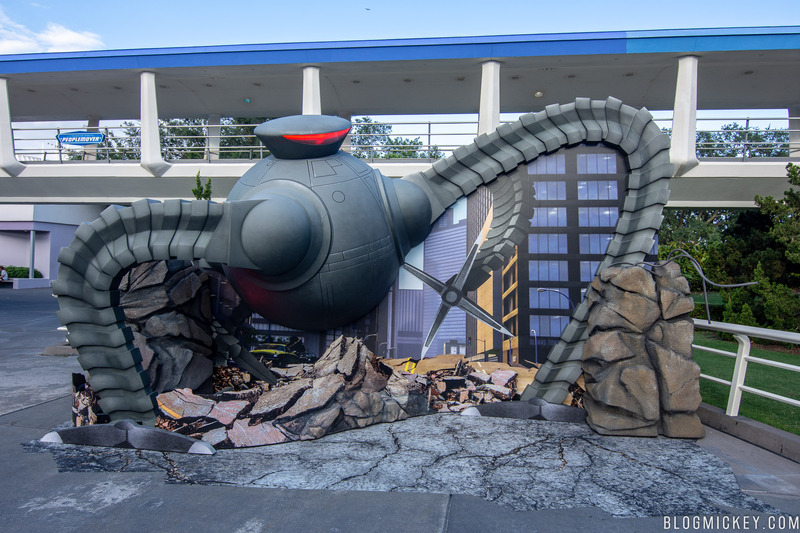 There will be a dance party/parade featuring The Incredibles and, for the first time ever, Edna Mode. 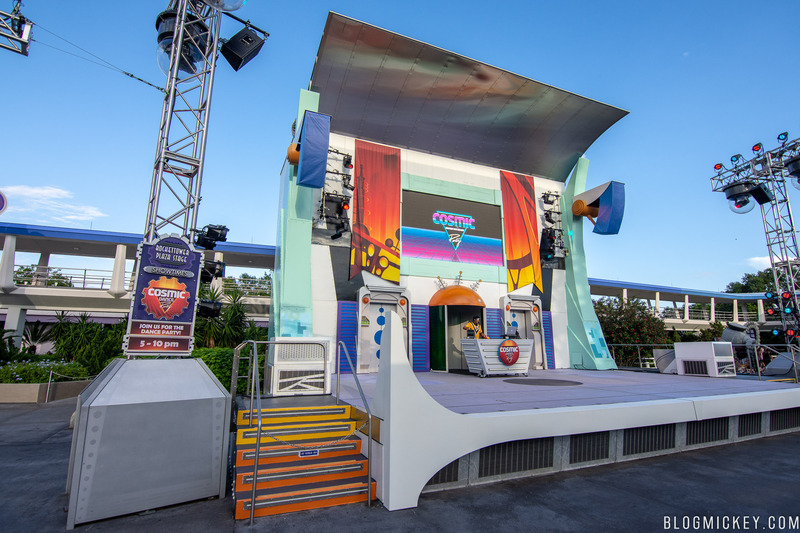 From what we are hearing, Edna will not partake in a formal meet and greet, but rather roam around on a float throughout the dance party/parade. 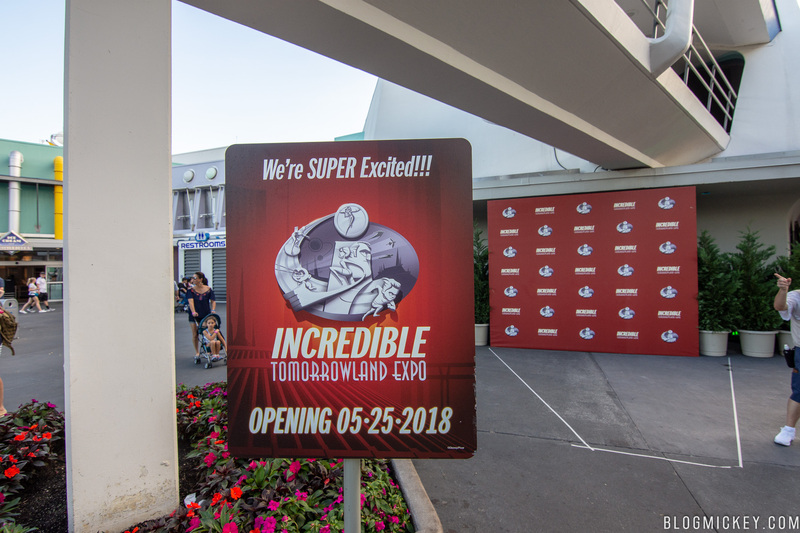 We’ll have more coverage this Friday. 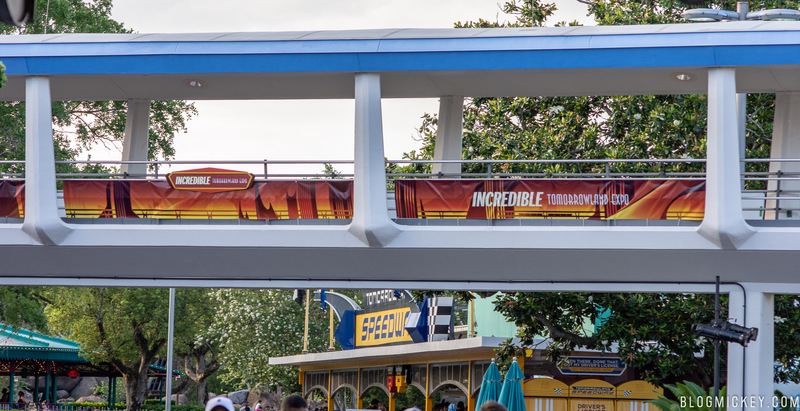 In addition to general theming, there are character themed banners to be found as well. 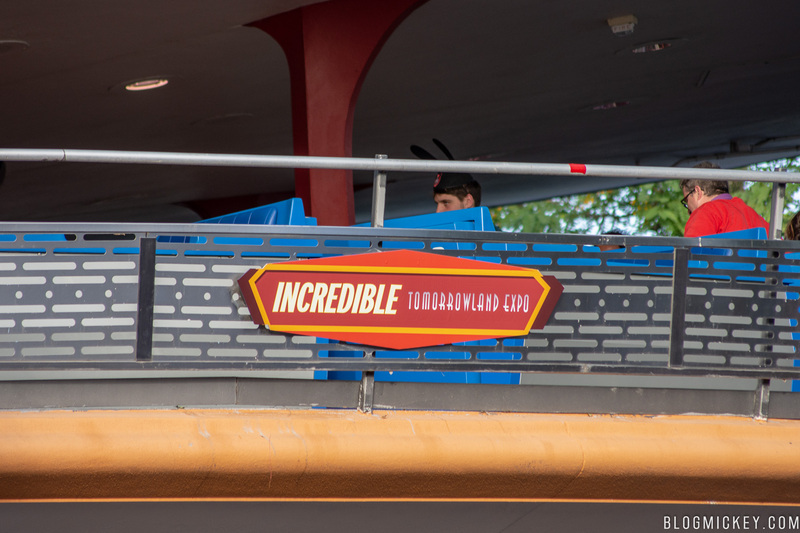 In addition to the decor, there are 4 photo ops located in Tomorrowland. 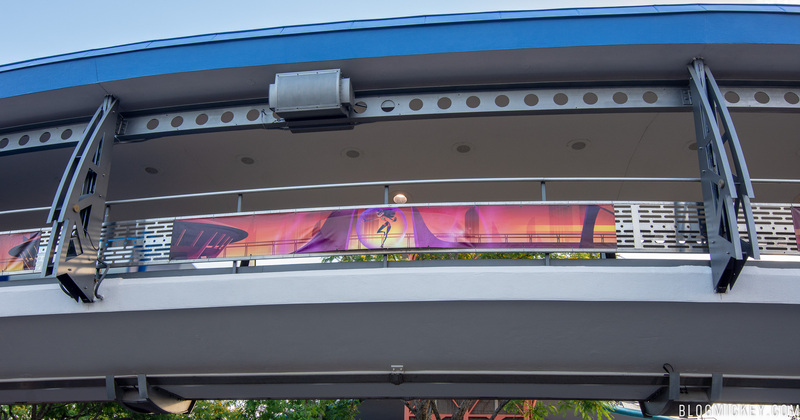 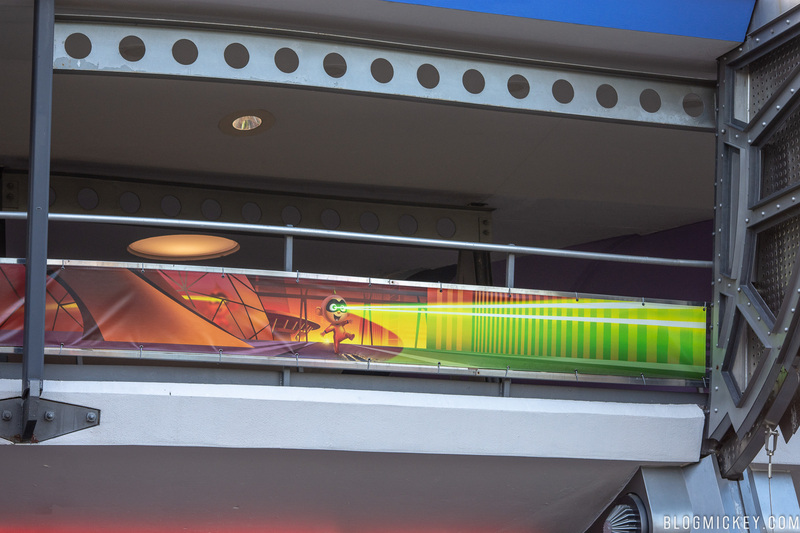 The first photo op is located between the Carousel of Progress and the Rocket Tower Plaza Stage. 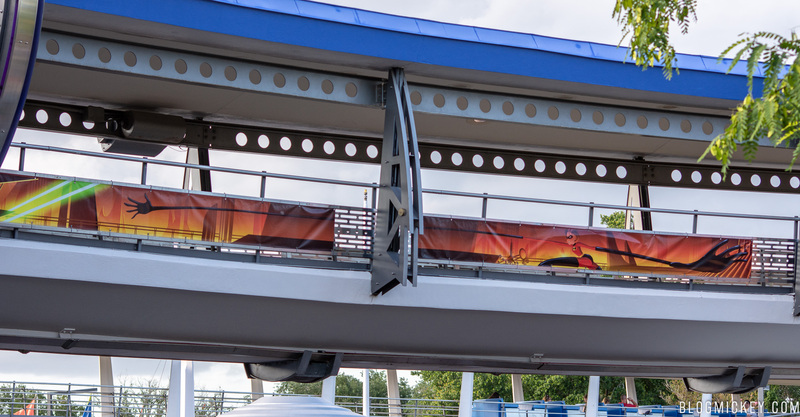 A second photo op can be found to the right of the Space Mountain entrance. 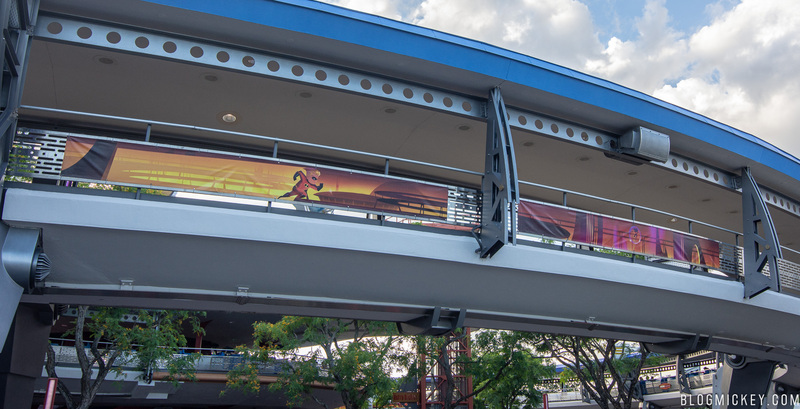 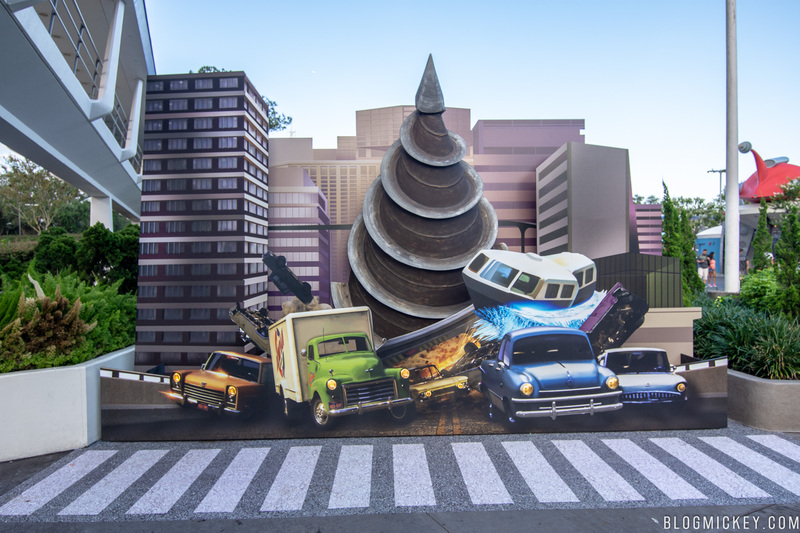 The third photo op is located between the DVC Information Center and the Tomorrowland Speedway. 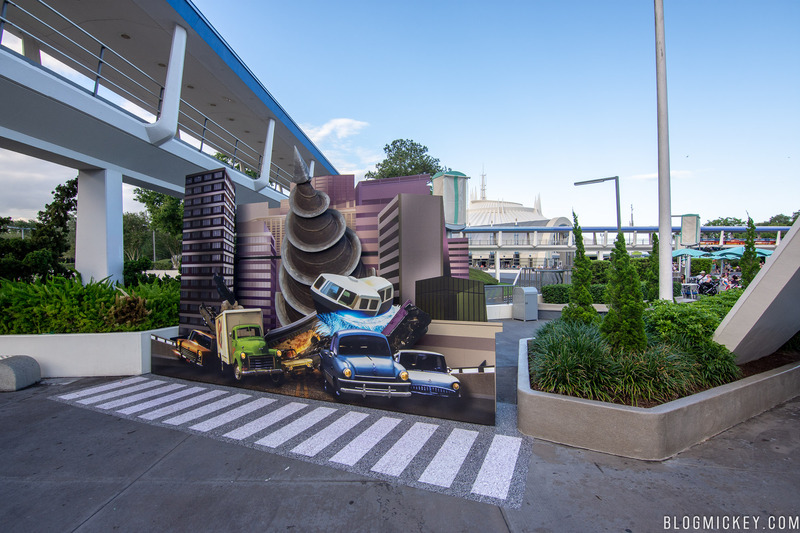 Finally, a movie premier type photo op is located near Mickey’s Star Traders. 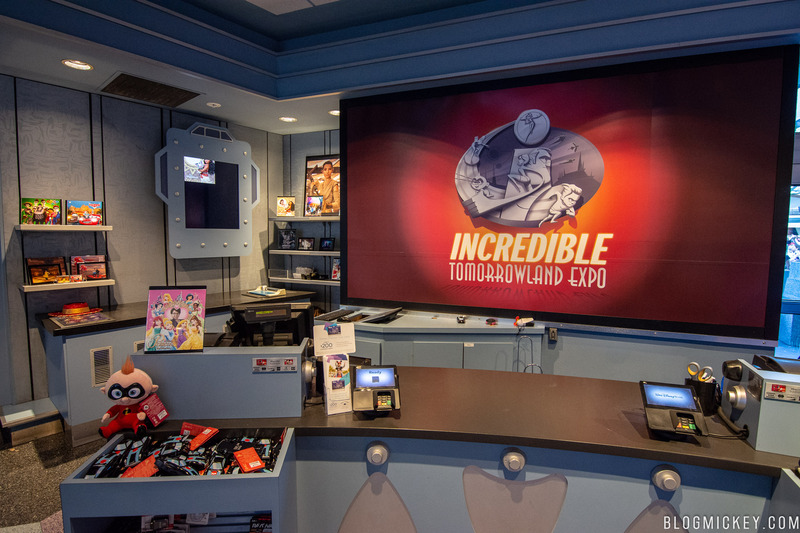 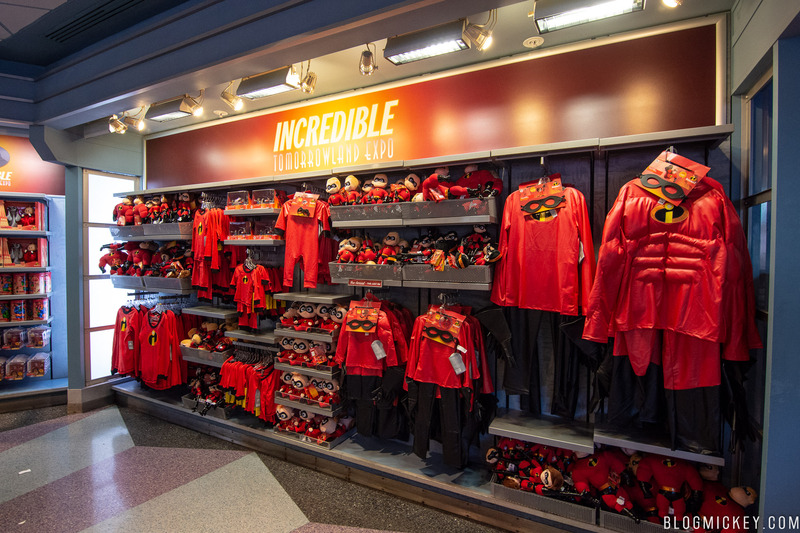 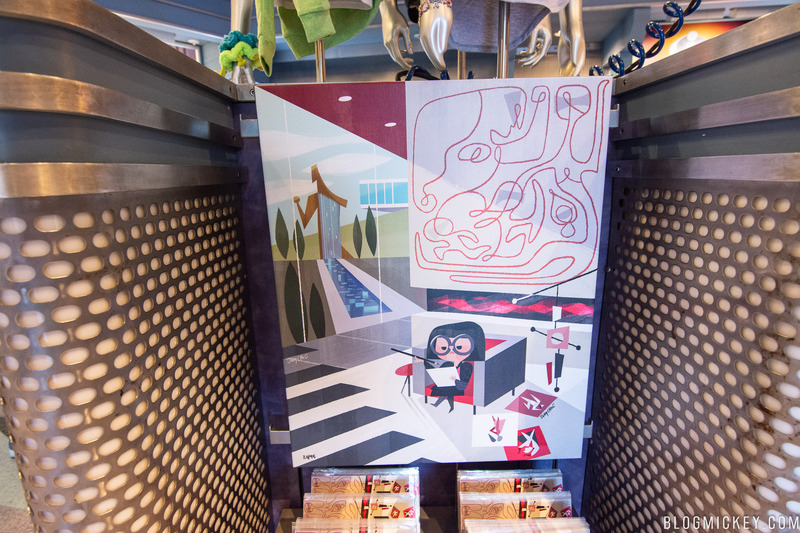 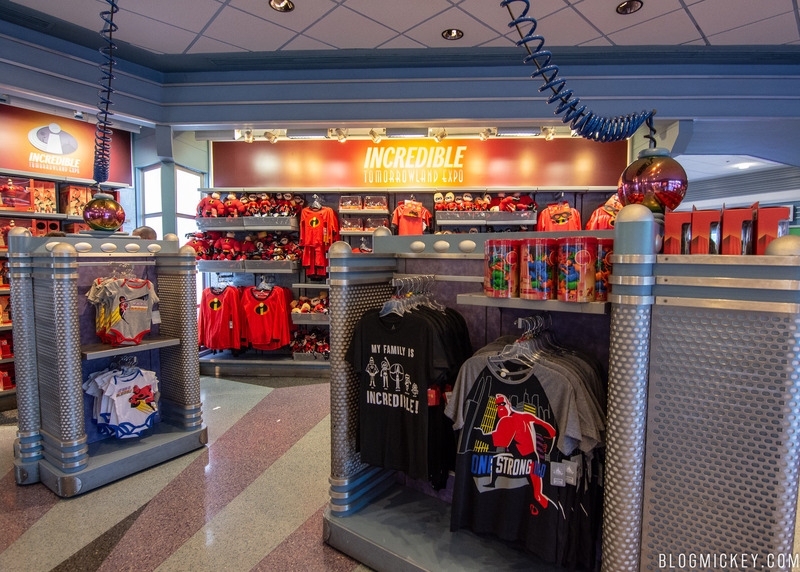 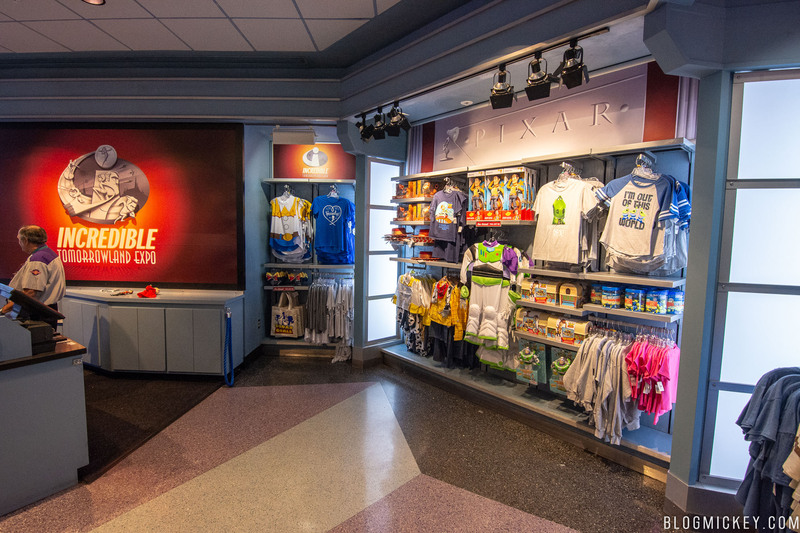 Of course, there is plenty of merchandise for those looking to add to their Incredibles collection. 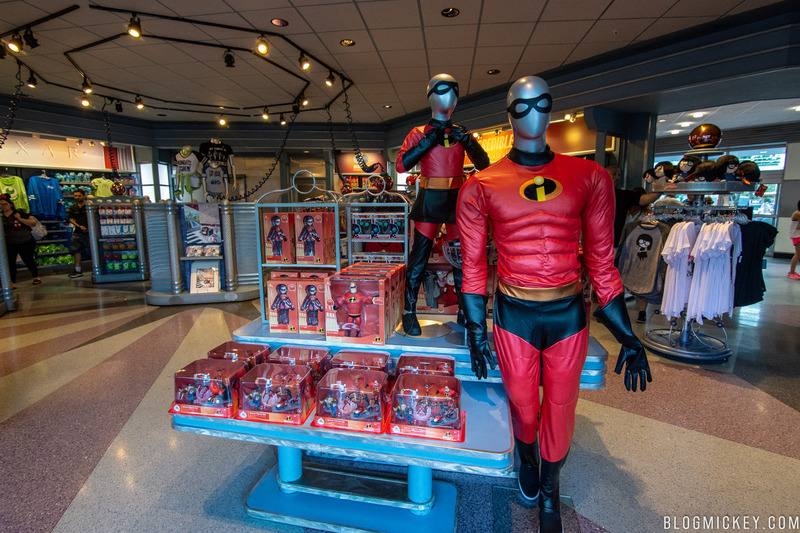 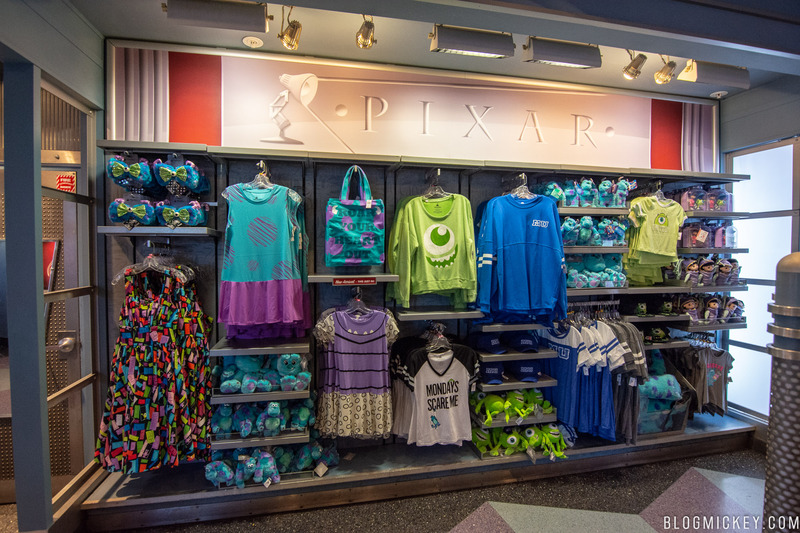 Merchant of Venus has been taken over by The Incredibles and Pixar merchandise for the summer. 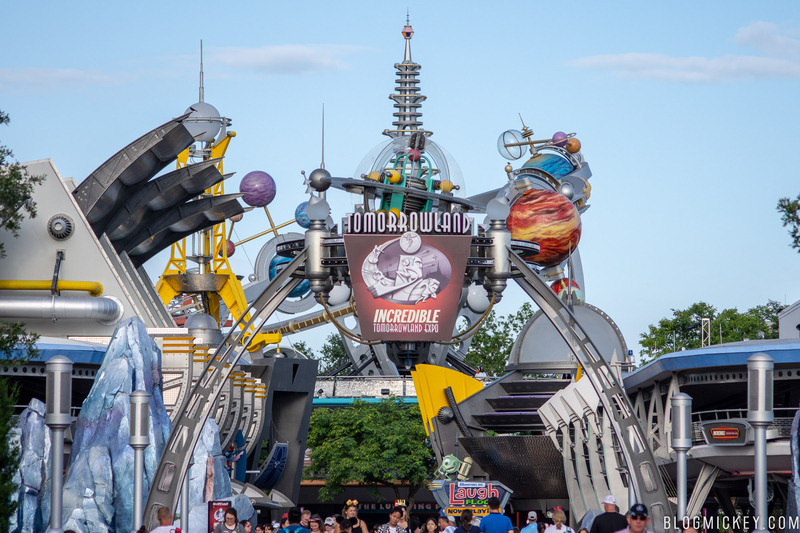 The Incredible Tomorrowland Expo runs from May 25th through September 3rd.